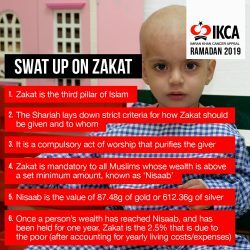 Are you ready to reap the blessings and Baraka of Ramadan? Here’s a checklist of ‘to do’s to help you make the most of every last hour of the holy month. 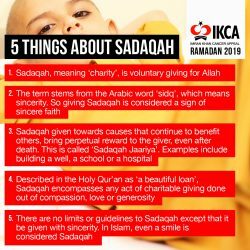 Our Guide to Ramadan 2019 is packed with useful tips, supplications and practices, based on the Holy Quran and Sunnah. 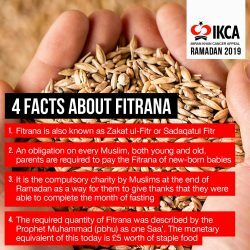 Read on to reap the blessings of this month to the fullest. Allahumma innaka `Afuwwun TuHibbul `Afwa Fa`fu `Annii. 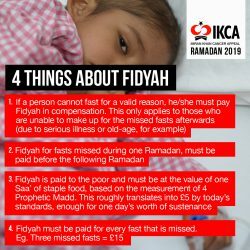 Fidyah is for people who have a valid reason for not fasting, (like illness, pregnancy or old-age). It involves paying to provide a person’s daily sustenance, for every fast that they miss.